Sulphate Free 2-in-1 Shampoo & Conditioner. Washes and conditions in one step, Leaving hair full and healthy-looking. 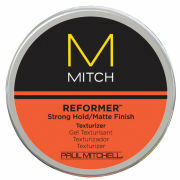 Matte finish texturizer strong hold. Pliable putty styler with powerful hold. Flexible, webby texture forms & separates. Great for messy, undone styles. Works through hair quickly with comb or fingers, great for classic styles. Natural shine gel firm hold. Shapes any style with lasting hold, Alcohol-free formula fights flaking and drying. Spiking gel maximum hold. A must-have for spiked and extreme looks, Powerhouse control lasts as long as you want it. Semi-Matte styling ceam medium hold. Forms clean, no-fuss looks and a natural finish that won't look over-styled. 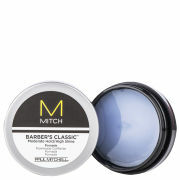 Mitch Double Hitter (1000ml) worth £55.80! 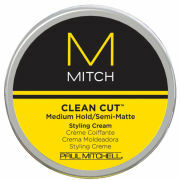 Mitch Construction Paste provides flexible, workable texture that allows you to create messy, undone styles. It forms and separates your locks so you can switch up your style throughout the day, without flaking or leaving a crunchy residue in your hair. STYLE ISN’T BORN. IT’S GROOMED. 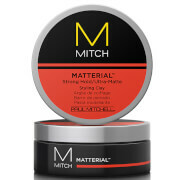 Discover the MITCH® from Paul Mitchell® haircare range for men at Mankind. Proving that a little goes a long way, the range ensures great grooming – every time. With a selection of high performing, concentrated products to choose from these innovative options are tailored to the modern man.